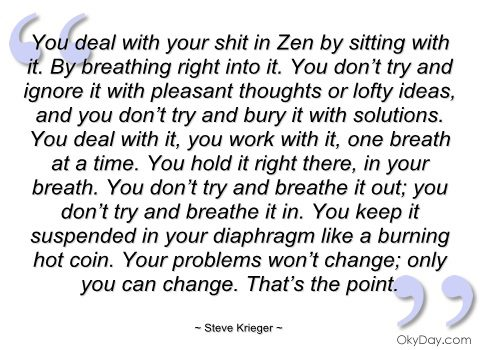 Try some Zen on your problems and watch them melt away. Practice makes perfect and you may need to practice this for a while. It becomes a way of life after some time and your problems can be easily solved by looking right at them and finding the best answer at the best time. Then you let yourself change to accompany your decisions.